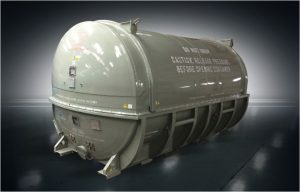 In 1954, we started designing and manufacturing containers for armament and engines at the request of the U.S. military. As our engine containers began to incorporate built-in engine stands, we took on more complex challenges and evolved to service multiple industries, including those that use large turbine engines. After serving as a Tier 2 supplier for all G.E. commercial aerospace and aero-derivative engine platforms, we recently began producing items that are made under license from GENERAL ELECTRIC COMPANY, USA. As an ISO-9001: 2008 certified company, Champion GSE maintains the highest quality standards throughout the manufacturing process. Our full-service facility is vertically integrated to include engineering, FEA, design, advanced machining, paint and product testing. 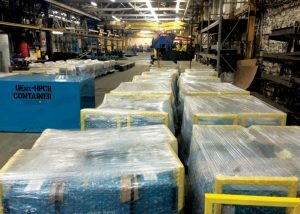 It’s how we’re able to provide the industry’s shortest lead times while still delivering the exceptional quality that our customers have come to expect. Champion GSE’s Stronghold turbofan engine stands are designed, manufactured and tested to the highest quality standards. We produce items made under license from GENERAL ELECTRIC COMPANY, USA, and all other stands are built in accordance with our customers’ specification requirements. We’re intensely focused on safety features and performance enhancements that make our engine stands the most reliable and easy to use in the service, transport and maintenance of turbofan and aero-derivative engines, small aircraft engines and other critical ground support equipment. 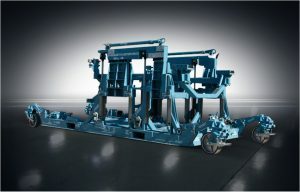 Rollover stands — rotates (rolls) the stand in place to achieve minimum height/width profile for loading through transport cargo doors. GEnx-1B -2B dual purpose stand — offers improved safety and usability through hydraulically activated components, including: caster deployment, engine rotation and lifting systems. Supports two of the OEM’s most common turbofan engine platforms; all components and parts are stored on-board. Small aircraft engine stand — designed for the general aviation industry to improve the maintenance and repair of four- to six-cylinder engines that weigh up to 600 pounds. Features 180-degree rotation, heavy-duty lockable wheels, spare parts tray, multiple engine mounting adapters and an expanded drip pan. Split stands — allows for transportation of turbine engines in split configuration; enables engines to be stowed in cargo hold. Fan stands — allows for the transportation of the GEnx-1B and -2B fan modules. 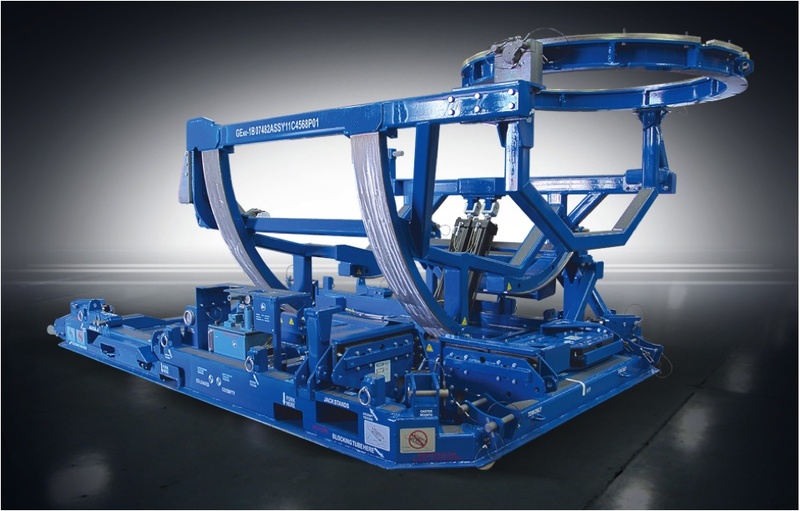 LM2500 shipping skid and LM2500 test dolly — designed for safe shipping and transport of the LM2500 engine. Miscellaneous stands — shop dollies; fan stands; test stands. 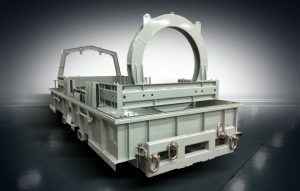 Since 1954, Champion GSE has been engineering durable containers with innovative service and usability features. 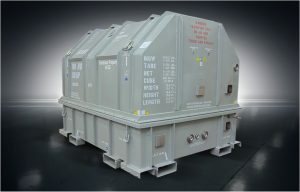 Stronghold engine containers, ammunition containers, missile containers and the like are custom built to any specification requirement and engineered to provide maximum protection, even in the most difficult and extreme environments. 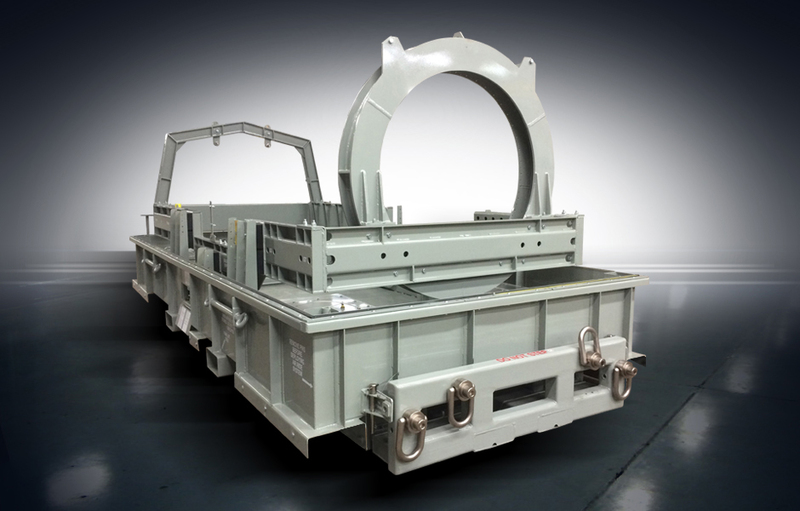 Our innovative Air-Ride container features a completely self-sustaining, internal shock-resistant system that eliminates the need for an “air-ride” kit on the transport trailer while reducing teardowns for bearing replacement (brinelling). Because ground support and maintenance crews need much more than engine stands and containers to support their daily operations, Champion GSE also manufactures an ever-expanding range of affiliated ground support equipment. Overlooking the smallest details can lead to big problems for ground support and maintenance crews. Delays can be expensive. Disruptions are unacceptable. That’s why Champion GSE keeps a comprehensive inventory of spare parts on-hand for quick turnaround to support our customers’ transport and service activities. We even offer spare parts programs that provide complete management of our MRO partner’s inventories. Whether you need a nut, bolt or gasket, or an air-ride conversion kit, you can count on us for the spare parts to keep your operations up and running.